Exploring a land of ancient deserts, deep canyons, winding rivers and unique flora, the Northern Cape promises an unsurpassed experience. The Northern Cape lodges are situated in the serene wilderness of the Kalahari Desert, and whether you prefer an authentic rustic atmosphere without compromising on comfort, or exceptional luxury with a distinctive African atmosphere, you can look forward to sublime tranquility in this vast domain.The legendary Kalahari Desert makes up a large portion of the Northern Cape and this is cut by the Gariep River that has formed the roaring Augrabies Falls, en route to the Atlantic Ocean. 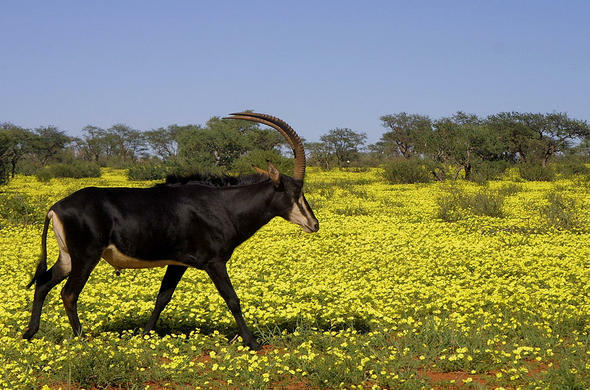 Experience an awe-inspiring safari adventure, unique to the Northern Cape. Discover the wonders of the Kgalagadi Transfrontier National Park, the fascinating Richtersveld and the developing Tswalu Private Game Reserve on a journey to a safari destination with a difference.Tswalu Tarkuni offers its guests uncompromising comfort and luxury, and is the ideal choice for families and a group of friends on a opulent Northern Cape safari. Tarkuni comes with its own staff that includes a host, private chef and personal field guide and tracker.Tswalu The Motse is located on the foot of the Korannaberg Mountains and was built using the dessert sand and local stone. The Motse was designed to give families on a a Northern Cape safari a luxurious and unforgettable experience. Relax in the infinity pool and admire the beautiful scenery.